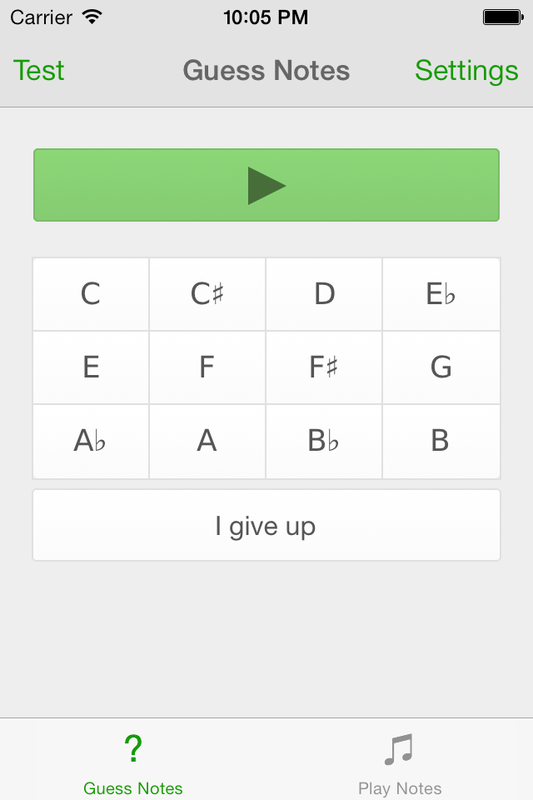 Perfect Pitch Partner is an app to help you train to get perfect pitch. Pitch Partner plays random notes and lets you guess the pitch. You can also play specific notes to help you learn. Practice mode allows for unlimited guesses. Test mode has a set number of rounds with only one guess per round. Customize which notes and octaves are allowed to be played. Play up to four notes at once.